Services offered : TV wake up service, Internet, in-room phone service, room service, doctor-on-call, laundry, hair dryer room, etc. 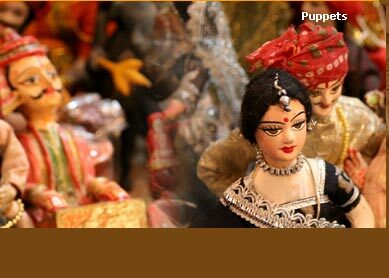 Nearby attractions: Junagarh Fort, Lalgarh palace museum, havelis and temples of Bikaner, Camel Safari. Bhanwar Niwas Palace lets guests witness the rich traditional and cultural valour of Rajasthan in its best colour. Built in 1927, the red sand stoned mansion of Bhanwar Niwas Palace is perfect amalgam of Indian and European architectural elegance. 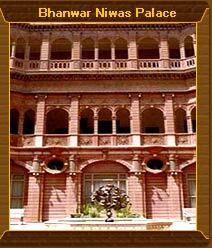 Now turned into one of very famous heritage hotels of Rajasthan, Bhanwar Niwas Palace paves ones way to explore the historical and cultural gleam of Bikaner. The grand haveli has 25 air conditioned rooms which are equipped with all modern facilities to cater to every need of guests. Each of the rooms have attached bath and bathtubs, and are given the facilities of TV and safe deposits. The other facilities one avails at the hotel are wake up service, Internet, in-room phone service, room service, doctor-on-call, laundry, hair dryer room, etc. The elegant dining hall of the restaurant serves vegetarian foods any time you get there. 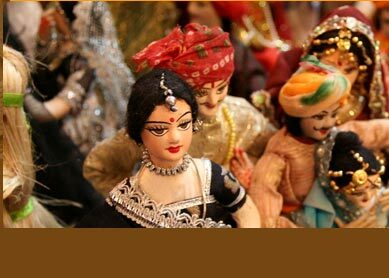 Though one can order cuisine ranging from Continental to Indian, one can best order the traditional Rajasthani items. No matter which time one rushes to savour the meal, the restaurant serves you the food with freshness and aroma intact. Folk music and dance programme are organised every evening in the grand courtyard, which holds great attention of maximum guests. House to numerous of old havelis and temples, forts and palaces, Bikaner has very fine opportunity to let tourists peep into its historical and cultural heritage. And must not to forget that the best one can indulge into is camel safari in its world famous Thar Desert. The camel safari arranged by hotel takes you to an amazing sand world passing through typical Rajasthani village and its array of beautiful havelis.